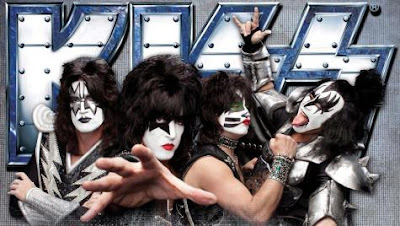 KISS performed on the season premiere of "The Footy Show," an Australian sports variety television program covering the professional rugby league, on Thursday. "What an amazing way to kick off our 20th year, with one of the biggest rock bands in the world live in the studio,” said Glenn Pallister, executive producer of the program earlier this week. “['The Footy Show' host] Fatty [Paul Vautin] is such a KISS fanatic, we may need to have oxygen on standby." KISS launched its Australian tour in Perth last Thursday — its first in five years — with Motley Crue and Thin Lizzy.